We can produce many custom stair part designs. Click on the pictures above to view our gallery. Each project is unique, and if you have a one-of-a-kind project in mind, contact us. Our custom capabilities can deliver the stair parts you want to set your project apart from the rest. Custom recessed box newels provide contrast and detail to a "scissor" staircase. Metal BAS1 and TW1 Oil Rubbed Copper balusters give the staircase added drama and beauty. We provide bending rail and handrail fittings that provide style and tasteful design to almost any curved staircase or balcony. 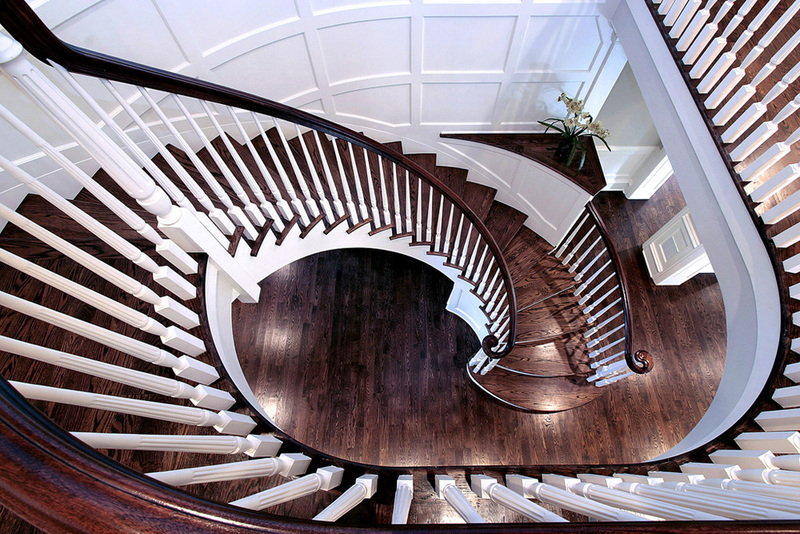 Over-sized turned newels accentuate a sleek, elegant curved staircase. We can replicate most any turned newel design. Custom box newels give this staircase character and simplicity. 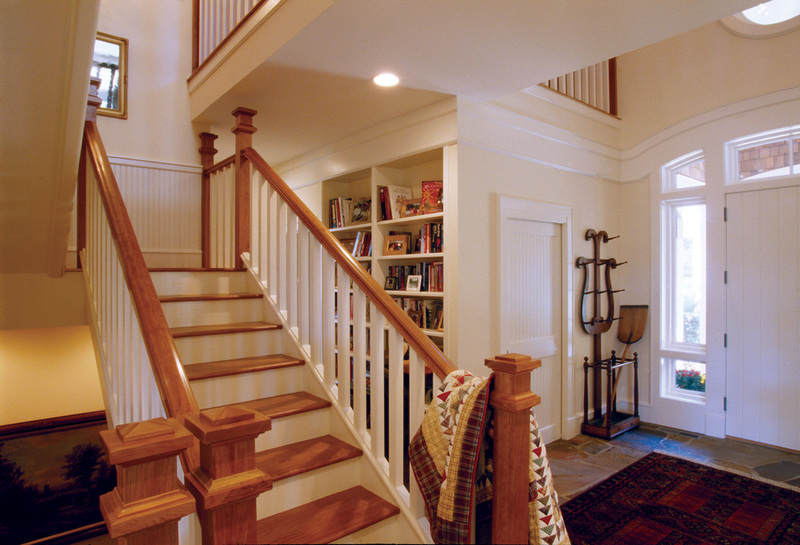 Primed, full square 5360 balusters have clean lines and crisp detail.